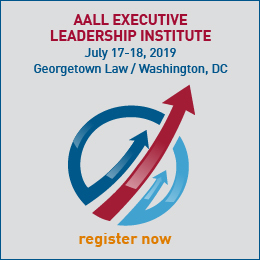 The Corporate Law Librarians have developed this document to present to the AALL Task Force on the Value of Law Librarians in the Information Age. As a group, we are threatened by the outsourcing trend and we believe that the decision makers in our corporations do not have accurate information when they evaluate outsourcing law libraries as a cost-cutting method. We are very hopeful that the Task Force can work with us to provide concrete guidelines on educating the decision makers about what we do and how our expertise benefits the bottom line; to suggest avenues for communicating appropriate functions to oursource; and to provide support and leadership to AALL members on how to present the best case to management. 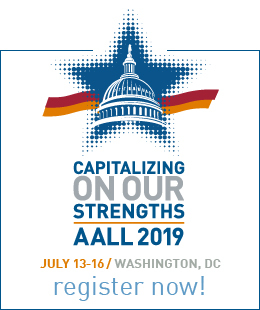 Perhaps the Task Force might consider distributing a newsletter, establishing a listserv, or organizing a hotline or crisis team to assist AALL members throughout the year. We have developed the following list of assets to describe the corporate law librarian. Evaluators and purchasers of on-line, CD-ROM and traditionally (printed) legal resources.SIGNIFICANCE: We are the only professionals in our respective corporate departments with the right training and skills to perform these functions effectively. Trainers of legal department attorneys and paralegals. SIGNIFICANCE: We know how to bring other staff uo-to-speed quickly and efficientlyin their usage of legal resources, regardless of the medium in which the information is packaged. None of the other professional staff in our departments has the time or skills to train end-users. Researchers in legal and non-legal databases. SIGNIFICANCE: We perform and coordinate legal and non-legal research, keeping abreast of the latest technology and sources of informationfor our company’s needs. Working in-house enables us to keep current with the ever money which would have been expended on outside commercial information brokers or ourside counsel. Managers, in vendor contract negotiations, in budget preparation and monitoring, and in supervision of library personnel. SIGNIFICANCE: We are “one-of-a-kind” within our corporations; normally, we do not have other colleagues within our companies who could perform any of the above duties, nor do we report to staff who could assume those duties in our absence. Information stars/czars. SIGNIFICANCE: Our training in information management and retrieval enables us to help our clients clearly define the information they need. Our understanding of, and commitment to, our unique corporate culture promotes confidence in our clients that we will deliver exactly what is needed to enable business decisions. The value-added benefit of professionally trained in-house law librarians is their expertise in obtaining information efficiently and cost-effectively. We believe that in the information age we truly are information professionals and should never be viewed by management as simply developers and custodians of large book collections. We are continually frustrated that this same management can look at our operations and categorically classify them with mail room and other clerical intensive departments in the corporation. We need to make sure that this one message gets through loud and clear to our respective managements: Permitting other professionals in our organizations means of access to information does not in any way guarantee or secure retrieval of information.